As winter draws in, many of us can feel ourselves becoming more tired, drained and prone to the odd cough or sneeze. 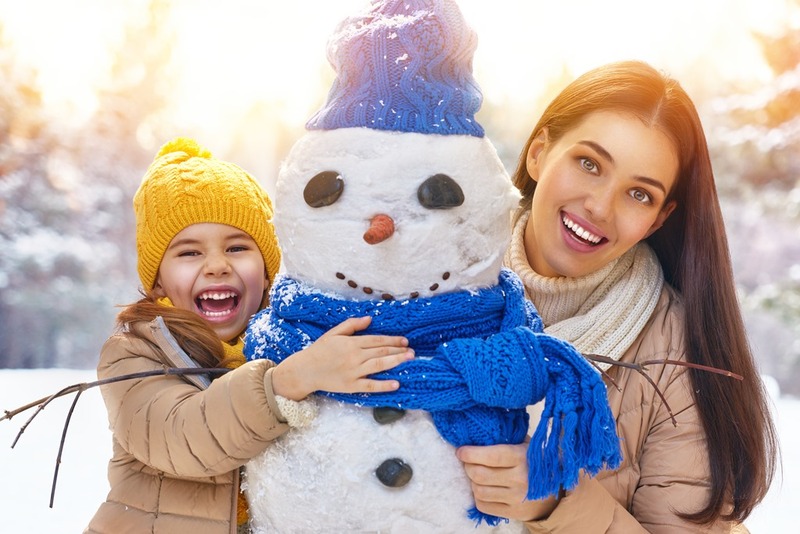 Staying healthy during the colder months is certainly a struggle, but it’s definitely worth it to avoid having to take days off from work or missing out on those all important festive parties. Too many of us fail to prioritise our well-being, especially among the stresses involved in the run up to Christmas, but by taking a few simple steps we can take better care of ourselves and enjoy the festive season all the more! Although it can be difficult to do anything other than snuggle up on the sofa with a blanket during winter, in order to maintain a healthy immune system it is vital to stay active. Of course, not many of us are willing to brave the dark and cold to go out for a run or a bootcamp session, but the good news is that this really isn’t necessary. There are plenty of ways to improve your fitness that don’t involve going outside at all, and some that can even be built into your existing routine. If you’re looking for a way to get a full workout without leaving your own living room, there are plenty of routes you can take. Investing in a set of weights or kettlebells will give you all the equipment you need to build muscle and maintain your cardio fitness, or you could sign up for an exercise class at your local gym or community centre. Yoga is another increasingly popular way to workout and de-stress, and all you need is a mat and a yoga video! We all know that eating a balanced diet is one of the best ways to build up our immune systems and prevent ourselves from getting run down, but during the colder months this can be a new challenge altogether. The allure of comfort food can be all too strong, and before we know it we’re filling up on carbs and puddings and ignoring our vegetables altogether. During winter it’s particularly important to increase your consumption of green vegetables such as broccoli, spinach and, of course, kale. These are packed full of iron, which keep you energised and improve your immune function. As there is less fresh fruit available in the winter, upping your intake of vegetables is particularly important to ensure that you get your five a day. You should only use supplements if you are aware that you have a specific vitamin deficiency, never to make up for an unbalanced diet. Being stuck inside all day and not seeing any daylight can be a real downside of the cold months. Too often we arrive at work and go home in the dark, and consequently don’t get enough sunlight or fresh air to give us that boost of energy and vitamin D that we so desperately need. Luckily, air purifiers are becoming increasingly popular in both work places and homes, which makes it easier and cheaper to bring a bit of fresh air indoors. Getting enough daylight is essential for both our mental and physical health, as it provides us not only with essential vitamins, but also with chemicals that prevent us from feeling down or depressed. Seasonal Affective Disorder, or SAD, is very common in countries that experience low levels of daylight in the winter months, and it affects physical health and mental health alike. This is why many people are investing in light therapy lamps, which project a white light that tricks your brain into thinking that it’s daylight. Surprisingly, stress is one of the biggest causes of physical illness in the UK. Our fast paced lifestyles and increasingly heavy workloads are causing many of us to become overworked and run down, which in turn results in higher levels of sick leave and work related stress absence. In order to protect both our physical and mental health, it’s crucial that we focus on balancing our lifestyles and minimising the effects of stress. An increasing amount of workplaces now have stress reduction programmes, but if you’re not lucky enough to be in one of these there are plenty of things you can do yourself to prevent stress from getting the better of you. Exercise is an excellent way to expel negative energy and increase your endorphins and serotonin levels, as is taking the time to socialise with friends. If you need a quiet moment, try a meditation app or simply schedule in some time to unwind in the bath with some relaxing music. Your immune system will definitely thank you for it. How do you cope with a poorly baby?